For years, Paradies has strictly adhered to and monitored the standards of humane livestock farming. The RDS certification (IDFL 005816) additionally guarantees our customers documentation and full transparency of the supply chain with integrated traceability. This also means that down and feathers supplied to Paradies GmbH are sourced from geese and ducks kept in strict accordance to animal welfare provisions and do not come from animals which have been live-plucked or force-fed (foie gras production). The down and feathers come exclusively from geese and ducks bred for the food industry. We are also familiar with the production facilities of our suppliers and additionally personally assess the conditions on site in regular intervals – at least once per year. The certification comprises the entire supply chain, from the breeding, to the slaughter, all the way through to the production of finished products and their distribution. Force-feeding/gavage is prohibited. Furthermore, the RDS seal guarantees the adherence to animal welfare provisions based on the five freedoms of the animal. Only animals which are slaughtered for the food industry are used. Live-plucking is prohibited. Throughout the entire production process, there is no contact with non-RDS-certified products. 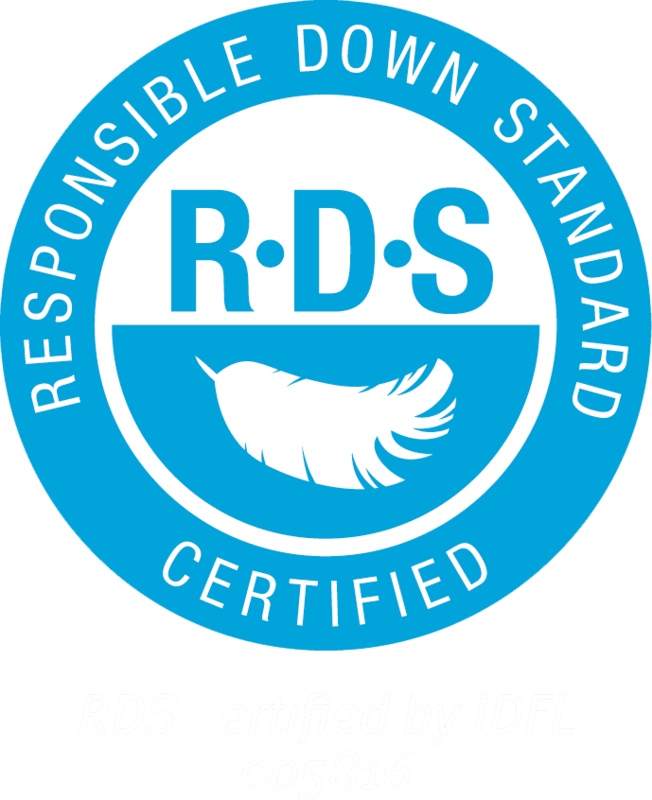 As a certified manufacturer, Paradies is committed to exclusively using RDS-certified down and feathers for their bedding.